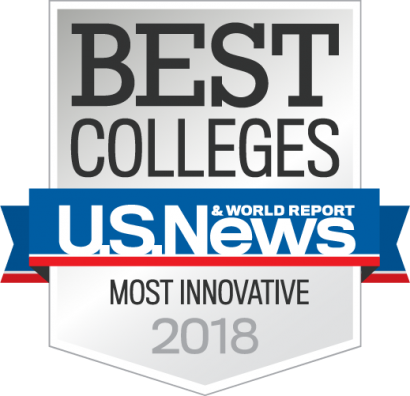 The University of Central Florida ranks among the nation’s most innovative universities along with Harvard, Stanford, Duke, according to the U.S. News & World Report’s Best Colleges of 2018 guide. UCF was listed as the No. 25 most innovative university out of nearly 1,400 universities and colleges in the nation. In the magazine’s overall rankings of Best Colleges, UCF was listed at No. 90 among public institutions and No. 171 among all universities. The magazine takes into account graduation and retention rates, faculty resources, student selectivity, financial resources, graduation rates, alumni giving and peer assessment to rank the Best Colleges. UCF’s also was ranked No. 91 in engineering doctorate programs, 128th among best undergraduate business programs, and was included in the A+ Schools for B Students list. The rankings are published at www.usnews.com/colleges, and the printed Best Colleges 2018 guidebook will be in stores Oct. 10.